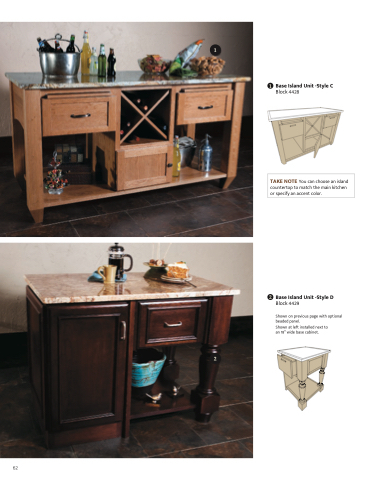 TAKE NOTE You can choose an island countertop to match the main kitchen or specify an accent color. Shown on previous page with optional beaded panel. Shown at left installed next to an 18” wide base cabinet.